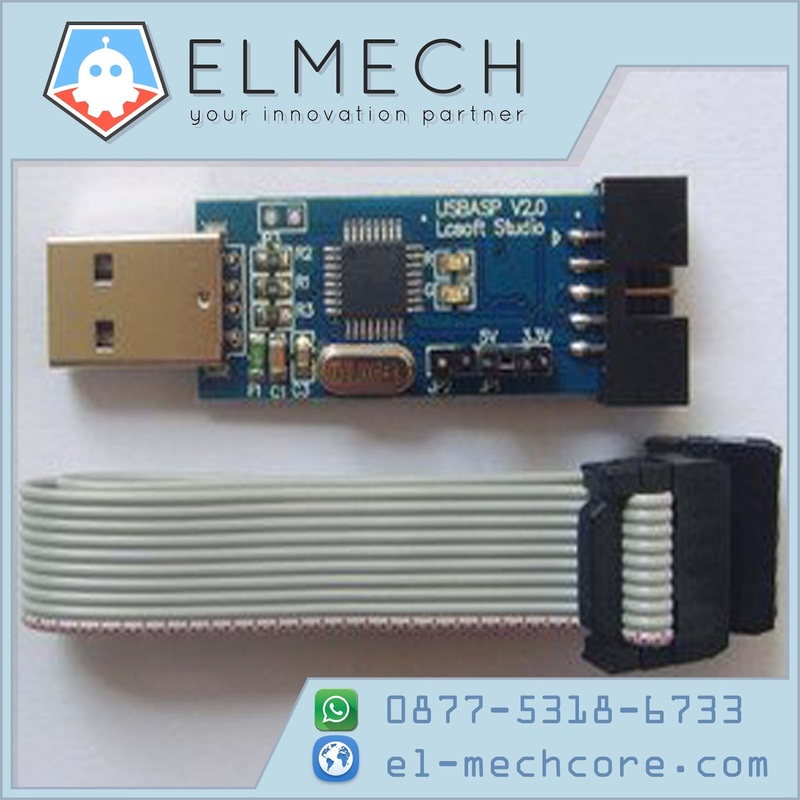 Home » Download driver usb Asp » download software » Software » Download Driver Downloader ISP And How to Install It. Until now, the USBASP windows driver wasn't signed. On older versions of windows this was't too much of a problem as you could override the signature error. On Windows Vista x64 and Windows 7, it is almost a show stopper. 2. Try to install it until the proggress has finished. 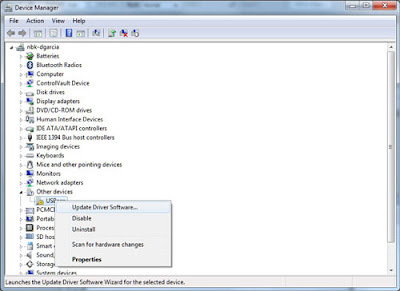 3. then Check your device in device manager check that your PC have been detecting your device? if not..!!! do this prosedure. 6. 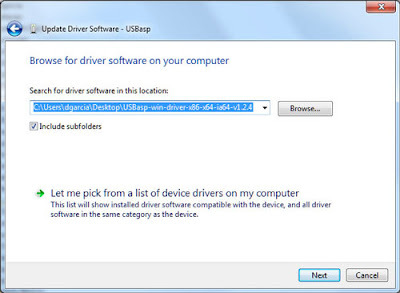 At this point, go into device manager and find the entry for the USBASP programmer. It should be displayed with a yellow alert icon next to it. 7. 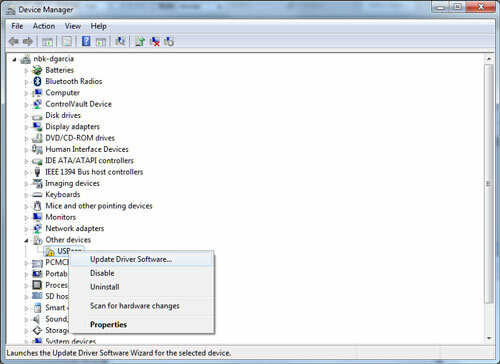 Right click on the device and select "Update Driver Software"
8. 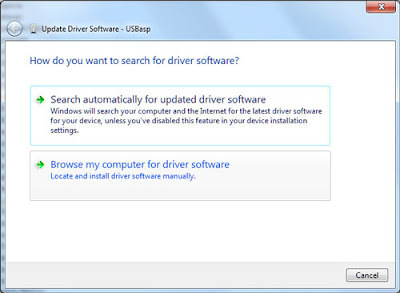 When prompted "How do you want to search for driver software", select "Browse my computer for driver software"
9. Select the folder where you unzipped the driver files then click "Next"
10. 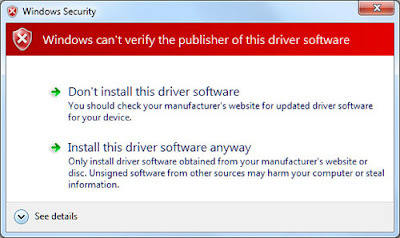 At this point, windows will give you a nice red warning dialog with the message "Windows can't verify the publisher of this driver software"
11. 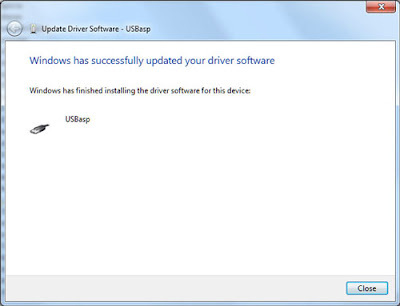 Click "Install this driver software anyway" and the driver will install.